Being a designer too (If you want to check out my stationery you can find it here), I have a fair bit of knowledge when it comes to wedding stationery. So today, I'm here to tell you how you can have beautiful stationery without compromising on quality, whilst saving money. Firstly, don't feel the need to have a RVSP card. I absolutely adore RSVP cards, but if you are on a budget, I do suggest they are the first things to go. That saves you not only on the physical card, but the extra postage for the stamped envelopes for your guests to send them back. Secondly, don't feel the need to have fancy envelopes - whilst matching printed envelopes, lined or metallic envelopes look beautiful and awesome - they often aren't kept (whilst heaps of people might keep a pretty invitation as a keepsake, I know I do!). Added to that, don't feel like it's necessary to upgrade to fancier papers. If you want to, by all means do it - linen, metallic or textured papers are awesome and absolutely stunning - but most invitations also look great on a good quality, thick white matte card. I design all my stationery to suit a white card - that way any paper upgrades are absolutely optional. Another tip for saving cash, consider getting something already designed from your chosen designer; these are sometimes called 'off the shelf' invites, or 'from the collection', 'pre-made', etc. This will save you custom made fees. Lastly, consider a digital invite! I provide digital versions of all my invitations, as well as custom made ones, which are more affordable than it's printed counterpart. 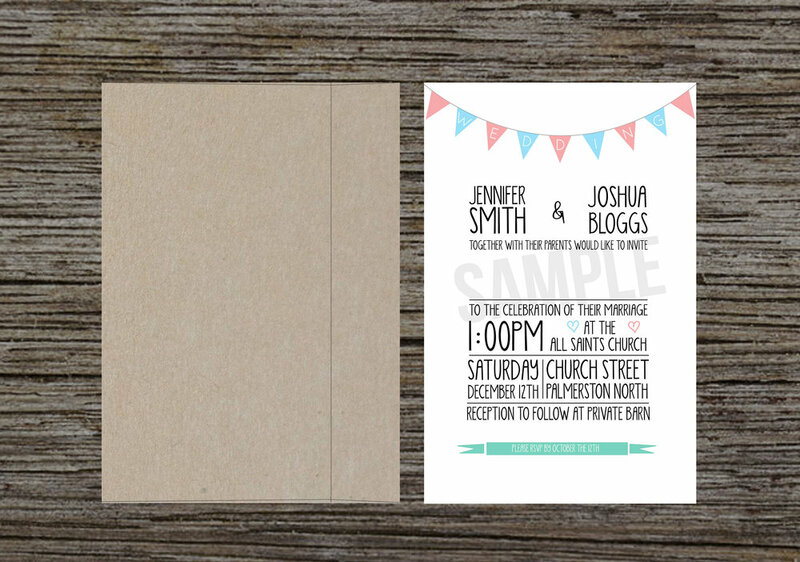 This not only saves you on the actual invitation, but it saves you a bundle on postage. It's easy as to attach to an email for most of your guests, and because you have the invite, it's easy as to get a few printed for your elderly guests that maybe don't have access to a computer. I think that's enough text for today - next week, table stationery! Newer PostWhy I did Start-up Weekend and why you should too.